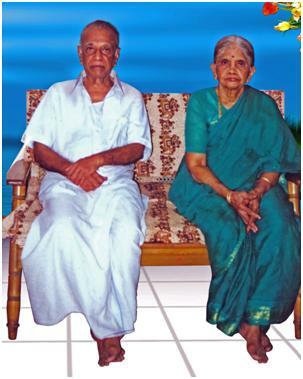 My education in Ayurveda started in the US, but my awareness and knowledge of Ayurveda originated from my grandparents. I realized this when I was relating my new found Ayurvedic knowledge to what I had learnt from my grandparents. I am proud of my roots – coming from the lineage of the great Sage Bharadwaja – the father of Ayurveda. When we are young, our minds did not know how to understand reasoning or logic – so we accepted Grandma’s medicine. But once we grew up and started to analyze and develop logical thinking, we wanted to know the reasons and did not want to accept anything at its face value. When I asked my grandma to prove her beliefs – she must be smiling at my ignorance – what more proof do you want – you have tried everything as a child and you still are living healthy!!! I came to realize her worth and that she is indeed a true vaidya (physician) only after I started studying Ayurveda. I recall that she had a remedy for every health condition that we came across – little realizing that it was Ayurveda that she was practising. What amazes me is my grandpa’s rhythm in life – systematically following the daily routine. My Grandpa was very organized in practicing daily routines. He woke up just before sunrise, doing Pranayam/breathing exercises morning, evening and night, walking, very conscious about what to and when to eat, going to bed at 9 pm every day. He was very active and at the same time, knew when to rest. The main secret of his longevity in good health was how he put his senses to proper use – he knew his limits – how much to talk, hear, see. He very rarely gave in to temptations or over-indulgence. The main purpose behind the orderliness in his life was to conserve his prana – life-force energy and lead a healthy long life. The world of ours is a better place because of his long life – we were privileged to get his love, guidance and wisdom and incorporate it in our lives. Yoga is intertwined in my grandparents’ life. Unlike the present generation, they did not have to face the pressure of allotting separate time to follow the techniques of Yoga or Ayurveda. They lived a very peaceful (stress free) life, since they saw unity in everything. The secret to my grandparents’ longevity, 75 years of married life, and living beyond 90 years without the aid of too many medications, is eating ayurvedically cooked food, doing breathing exercises and following the Rhythm of Nature. I look at their lives with admiration as a shining example of how to lead a healthy, peaceful, and fulfilling life. When I was studying Ayurveda, about the treatments and daily routines, I was constantly reminded of my grandparents and their simple yet healthy life style based on the principles of Ayurveda and Yoga. They did not ask for proofs since they used their intellect – all the senses were put to proper use to search for answers from within themselves. Their subtle connections with nature were intact – they did not have to make them fresh.